When building an Android / IOS application that connects to the PhpMyAdmin Database, you have to create a connection string that can access, write or edit the information stored there. However, if you declare a connection string on each file, it will make things complicated every times you change. Instead, you can create a separate file that holds the connection information to the database and invokes it from other files when used. host: is the name / address of the host, where the database is stored. username: account name allows use of Database. For example: create the db-connect.php file with the following content and save it to the directory on your host. 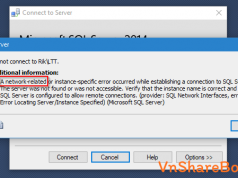 Failed to connect to MySQL: if the connection fails. 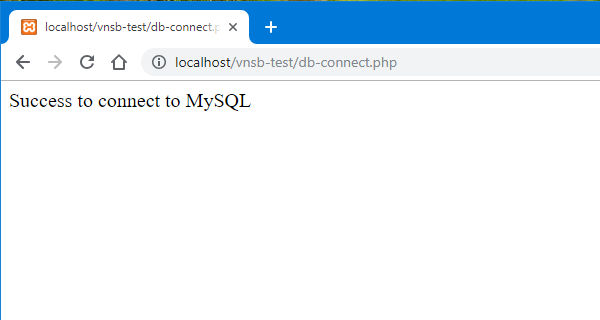 Success to connect to MySQL: if the connection is successful. Above is how to create a file to connect to PhpMyAdmin Database and you need customize the connection to your own Database. Hope the post is useful to you.